The Women’s March was a huge success. What comes next? 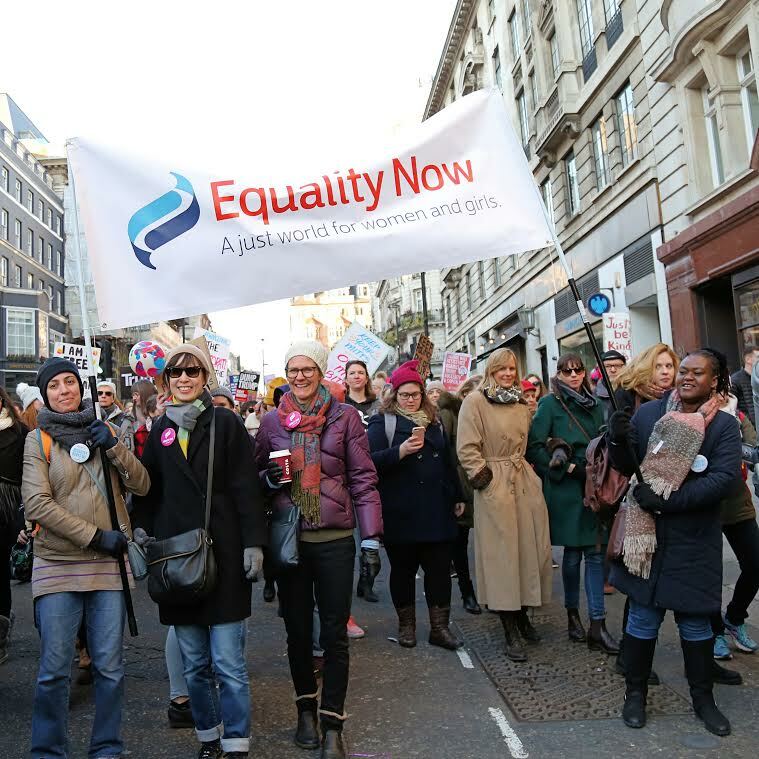 The Women’s March on London this Saturday saw around 100,000 people come onto the capital’s streets to demand that the rights of women and minorities be protected and promoted. In what turned into an historic day, the London march was just one of over 600 peaceful demonstrations held in more than 60 countries. Images from around the world showed a remarkable number of participants, with between 3.7 and 5 million people estimated to have taken part globally from afar afield as Antarctica to Saudi Arabia, and South Africa to the United States. Protesters were made up of a broad coalition of ages, religious beliefs and sexual orientations, with the fantastic array of signs they carried highlighting a number of issues united by an overarching concern that human and environmental rights are under threat. Many marched in solidarity with those in the USA, where President Donald Trump’s misogynist, homophobic and racist rhetoric, along with his threats to curtail women’s reproductive rights, was the original catalyst igniting this global day of action. 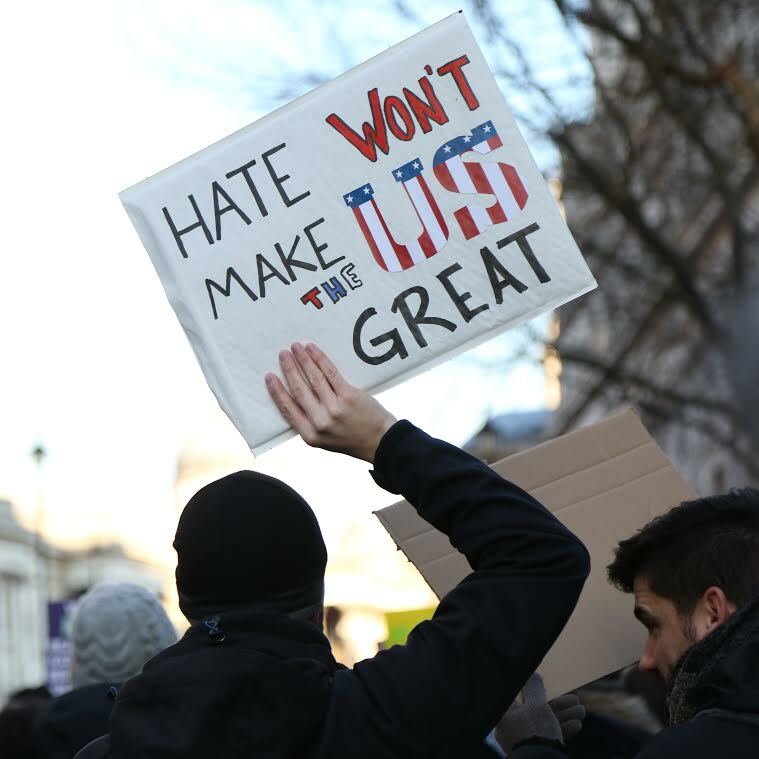 But the protesters were not just speaking to Trump, rather it was about sharing a much broader message with governments about the need to build bridges not walls, and a wholehearted rejection of politics fuelled by fear and division. Underlying it all was an impressive show of support from both women and men about the importance of women and girls being guaranteed their human rights. The success of the Women’s March has attracted widespread media attention, shone a spotlight on important issues and demonstrated a real passion for social justice across the globe. Many have been galvanised by this political activism. To capitalize on the momentum of this grassroots movement, organizers of the Women’s March on Washington have shared their “10 Actions for the first 100 Days” campaign which will provide a number of activities designed to enable supporters to remain engaged and help bring about tangible change. Meanwhile, women’s human rights groups such as Equality Now – which works to promote gender equality though legal advocacy and by harnessing the power of an international network of lawyers, activists, and supporters – sees the march as an opportunity to get more people proactively involved in specific campaigns aimed at defending women and girls whose rights are currently being denied. And coming up soon is the International Day of the Woman, which on March 8 is another opportunity for campaigners to focus and draw attention to causes highlighted on Saturday. Ultimately, only history will tell if the Women’s March was a one-off day of people venting their frustration about an injustice system, or a turning point giving rise to a new generation of activists fighting for what they believe in. But so far, the signs look good.